SNAP! Reptile! and Croc! Thousands of Crocodiles ESCAPE! You may catch more than a big fish when you go fishing in the Limpopo River, Johannesburg (South Africa). You may wish that this one would have got away as what you may catch may not be a big fish, but a sharp toothed Nile Crocodile! There is more chances of you catching a crocodile there than ever before, or rather a crocodile catching someone, and of course let’s hope that is not the case! Approximately 15,000 crocodiles escaped from nearby Rakwena Crocodile Farm on 24/01/2013, due to torrential rains and flooding in Johannesburg, the Rakwena Crocodile Farm owner had to open their floodgates so the property would not be obliterated that is the official reported version and this opening is how the crocodiles escaped! Another rumoured version story is that the farms dams broke due to the flooding and the crocodiles escaped soon after. The opening of the flood gates was necessary to prevent devastation to their property in the form of a storm surge; the crocodiles escaped and now a lethal predator is out in the local communities where it would present a very real and fatal risk to them. The South African Army and the Police had to be enlisted to protect the local residents from this infestation. Warnings have been issued to the locals to stay indoors and away from the crocodiles. The whole scene must have looked something like a scene from the movie Jurassic park, with panic and chaos spreading rapidly amongst everyone due to the presence of the crocodiles being everywhere. As for the River Limpopo there were a few crocodiles living there already before the epic crocodile escape from the Rawkena Crocodile Farm but now there are many within the river. Thousands of people were at risk not only from drowning but from being eaten alive by the crocodiles; some of these large reptiles have been reported to have turned up 75 miles away at Musina, more particularly at a school ready and waiting for Rugby players who would have been unfortunate enough to venture out to the Rugby pitch where one was sighted, fortunately no one was involved in an attack by the escaped party. There are no reports of any fatalities reported involving the reptiles but 10 people are reported to have lost their lives due to the torrential rain and flooding, many have lost their homes, and many have been reported as missing. Some people climbed up on the roofs due to the flooding, this may be the safest place to be under the circumstances; taking into consideration that a crocodile may just be swimming by and may fancy someone as their dinner, the situation may have been a bit like jumping from a frying pan in to a fire. Some local residents had to be rescued by motor boat from their roof; and below them in the water were crocodiles circling around them looking for a tasty meal, the residents were however rescued from their roof. Thankful, no doubt, of their lucky escape! The son-in-law of the crocodile farms owner, Zane Langman, informed, that the local farmers have been phoning them when they see the Crocodiles, Mr Langman says that they would then have the task of going there and catching the crocodile, not a job for the faint hearted. Much of the capturing of the Crocodiles is taking place at night when the reptiles are easier to spot due to their eyes shining red at night and reflecting back any light shone onto them. The police, army and the local people are also assisting in recapturing the crocodiles. The owner Mr Johan Boshoff has said he has “caught a few thousand”, although that means that more than half are still at large. 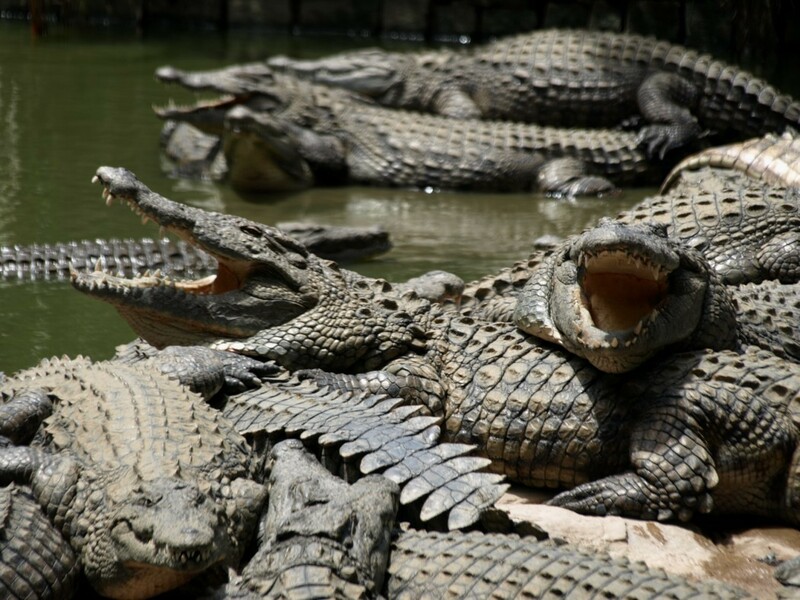 Mostly farmers keep the crocodiles in captivity to harvest them for the horrible trade of selling their skin and their meat, many of the crocodiles would be turned into handbags, jackets and other prized luxury outfits and products. The floods have also hit neighbouring Mozambique where thousands of people have been affected by the weather. Mozambique is hundreds of kilometres downstream from the Limpopo River. The people there had to be evacuated from their homes in order to protect them from the extreme weather conditions. 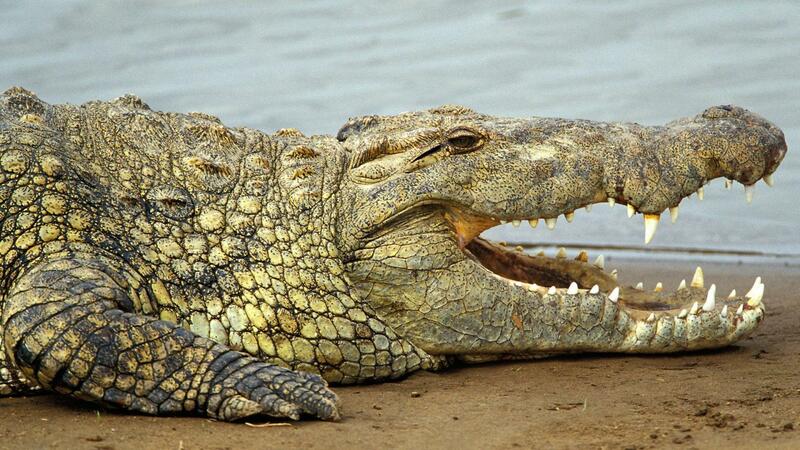 Nile Crocodiles can grow up to 16feet long and can swim at up to 22mph and run on land at a speed of up to 8mph. Of the escaped Crocodiles many have been seen caught in trees due to the flood waters having dropped. Recently the Limpopo area has been hit by a series of floods. « The BMW Z4 Zagato Roadster!